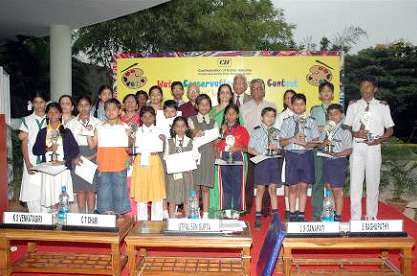 The objective of the competition is to create awareness on water conservation and stimulate the young minds on the importance of water conservation to promote habits that students can adopt from an early age to ensure conservation. In the first stage, each school is requested to nominate 1 best student from each standard (4th to 8th Std). In the second stage, the judge’s panel review & evaluate the posters and models on the day of the award competition and select winners based on the Selection Criteria and will receive the award by the chief guest.